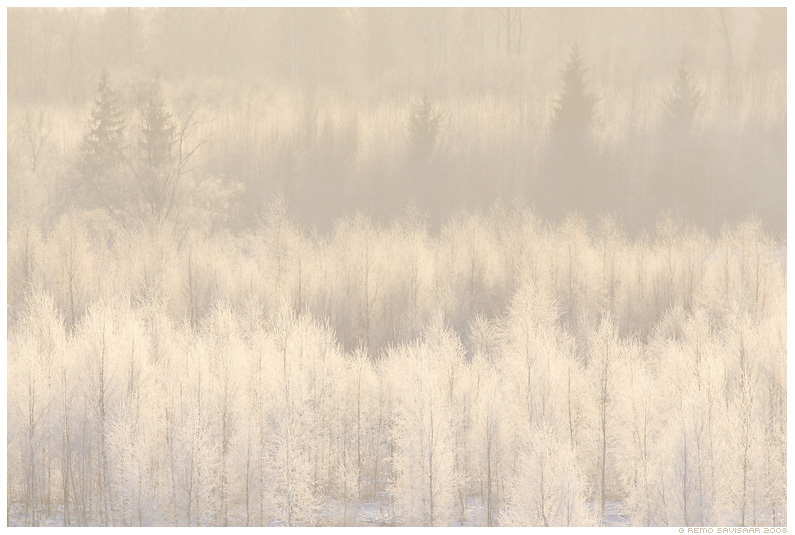 December 30th, 2008 by Remo Savisaar | Filed under Landscapes / Loodusvaated . Wonderful. Yes the sun diffused in the a little bit of fog and the rose finger of the sun. I enjoyed very much your photos and will do in 2009 too. Have a nice change of years..
Väga väga ilus! Nagu unenäos. Just wonderfull light capture. Fantastic framing.